I am one person who never steps out from home without applying anything on my lippy. I love to keep my lippy moisturize because dry and crack lip really hurt and uncomfortable. 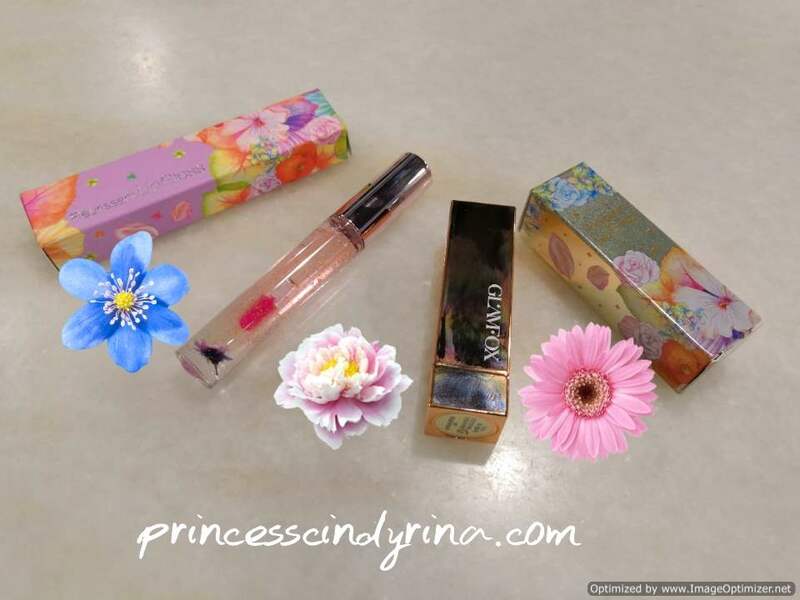 Recently, this awesome sweet flowery lippy moist protection reached to my doorstep. From the packaging to the product.....I find this GlamFox collection make me mesmerized with it. It looks like in a fantasy world with all the flowery things around me. I would say this item from GlamFox suits a 'Princess wannabe' like me. Chewwahhhhh!!! The one reached me is the GL03 Peach Flower. 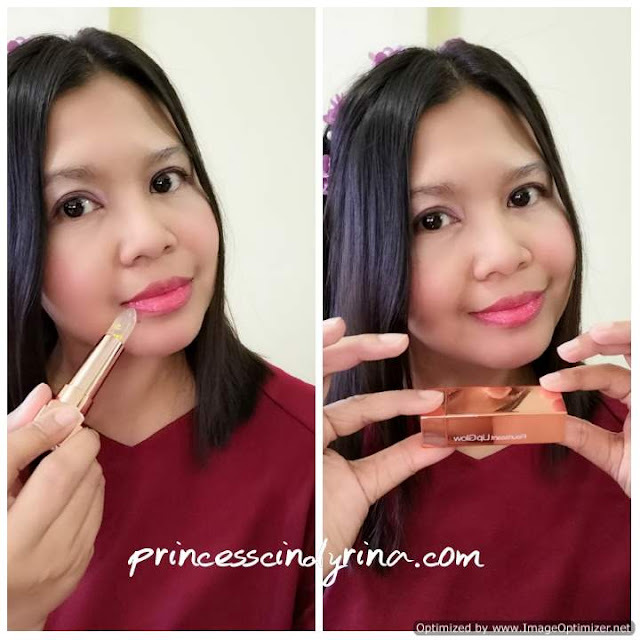 My experience trying out GlamFox Fleurissant Glow GL03 Peach Flower was really a sweet experience. I was a bit sceptical because the lipstick came to me transparent without colour. So a bit worried if the colour doesn't suit my skin. Well... to my amaze this GlamFox Fleurissant Lip Glow change from transparent into a beautiful natural red when I roll it onto my lips. Oh my!!!! Like MAGIC! See the colour on my lips.... suit me right? It looks super natural on my lips! This becomes my favourite items already! I read this lipstick will suit the wearer according to acidity and body temperature. Another plus point beside the magical colour, the colour is long lasting and keeps my lip moisturise and protecting lips for almost 6 hours. Oh! by the way...I don't have that lipstick mark stick on my coffee cup too. Wow! This is like a tattoo. OMG! I am really glad GlamFox reached me before Christmas this year! I really not fan of lip gloss because it looks so shiny and sticky feeling. So gross!!! 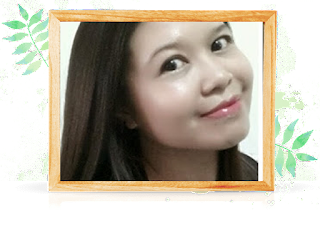 But my experience applying GlamFox Fleurissant Lip Gloss a bit different from the usual lip gloss, I have tried before. 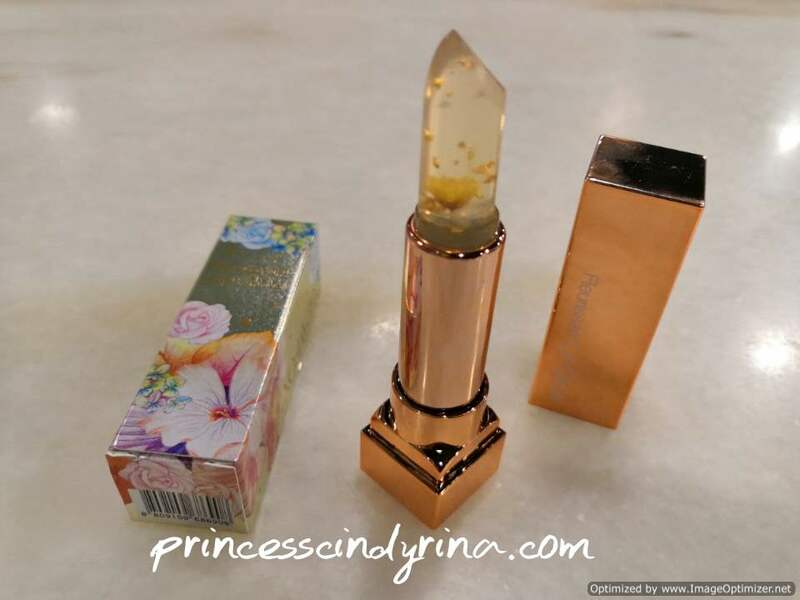 GlamFox Fleurissant Lip Gloss contains 99.9 per cent 24k gold powder and real flowers. It really gives lips a glossy radiant. One big point I noticed when trying out GlamFox Fleurissant Lip Gloss, it only feels sticky on earlier minutes applied it. Then it changes into moist and soft hydration feeling instead of the sticky feels. It also a long lasting and doesn't easily remove when eating or drinking. 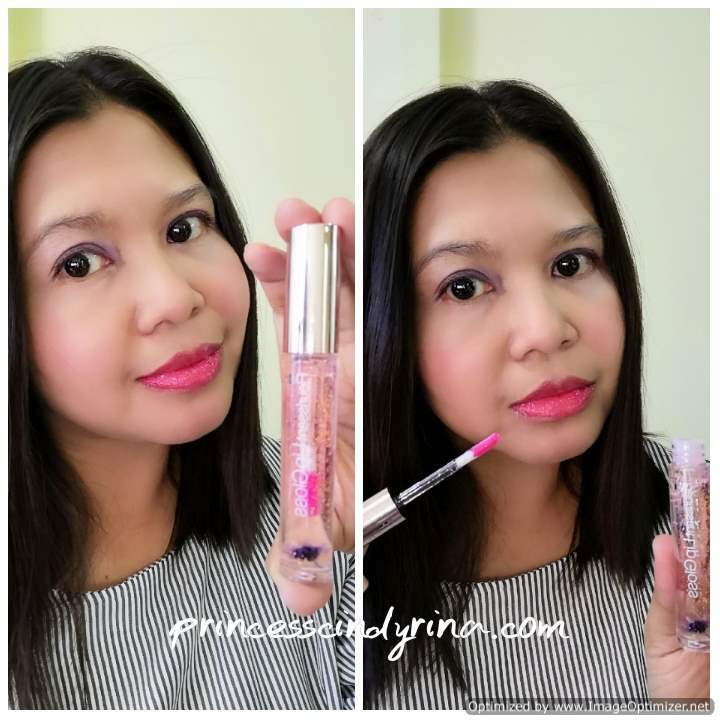 As for colours, if GlamFox Fleurissant Lip Glow works like MAGIC , this GlamFox Fleurissant Lip Gloss is the prettiest lip gloss I ever tried. The flower scents are as sweet as it beautiful look. * Full Lip MakeUp - Just apply the lip gloss fully following the shape of your lips. Just like how I did it in the photo. I just want the glamorous look. * Two Tone MakeUp - Apply a thin layer of lip gloss all over your lips. Then apply second layer concentrate on the centre of your lip and blend it evenly. * Gradation MakeUp - Apply concealer on the outer part of your lip and then add the lip gloss on the centre of the lip. Where to get this artisan style GlamFox collection for your lippy? Wow! It looks so natural when u apply on ur lips. Amazing! The design and packaging also nice. My lips also dry and it was so hurt. I will try this lips glow. I love the color natural. nice lipsticks! the flowery packaging certainly looks lovely and should be very attractive to the girls. contains 99.9 per cent 24k gold powder and real flowers? wow! You look pretty! The packaging also seems to be exclusive, regardless of its affordable price. To be honest, I never wear any transparent lipstick with flower inside like this haha. But would love to try some. I am always looking forward to see what will the colors look like after using the transparent lippie. It looks pretty on you. I dah lama aim lipstick transparent macam ni. So cantik sebab ada bunga. Ehh.. nak bagitahu Cindy so cantik bila apply the lipstick & lipgloss. Nampak so natural. Cantikla packaging produk. Wahhh ada 24k gold.. siap ada bunga ye dalam lipstik. Mesti bau dia harum kan.ena pon kalau kalau keluar rumah mesti nk apply lipstik. Yang lain memang dont care. Hehe.. I really like the packaging of this lipstick, the floral design looks so nice and I'm surprised it's transparent but once applied it will change to another color. Amboii!! 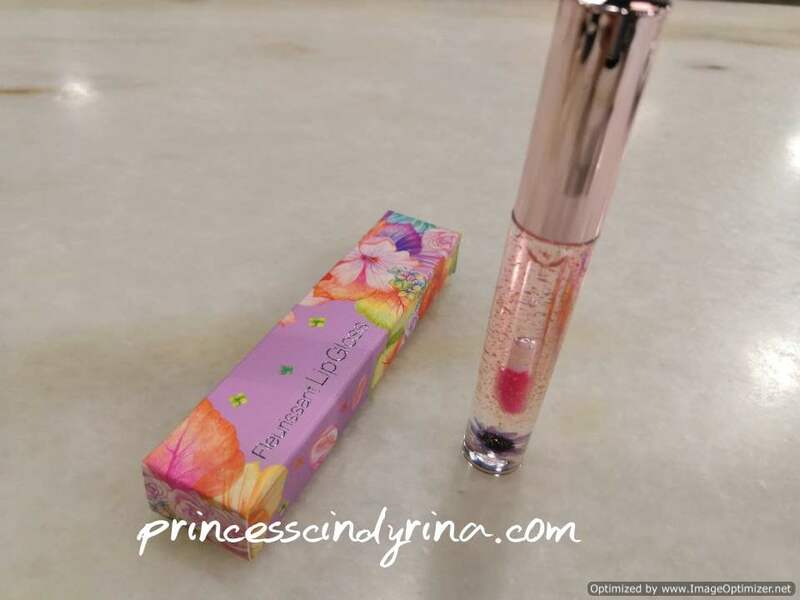 Comel bebenor Lips gloss n lipstick nyer.. packaging pun cantik dan menarik.. very the bungaaa kan?? AM sukaaa lorrr!! Ni kalau aku perempaun, nak gak beli satu untuk try..hehehe..tapi series, sampai hari ni, kalau nak beli lipstik untuk wife, tak tahu nak pilih yg mana satu..